George H.W. Bush's family and friends praised his faith, humility and patience Thursday, saying the former U.S. president embodied courage and grace along with his unique brand of humour and kindness as days of national mourning in Washington took on a more personal feel during a final Texas farewell. Addressing a funeral at Houston's St. Martin's Episcopal Church where the 41st president and his family regularly worshipped, Bush's former secretary of state and confidant for decades, James Baker, addressed him as "jefe," Spanish for boss. He praised Bush as a "truly beautiful human being" who had the "courage of a warrior but the greater courage of a peacemaker." Following the services, a special funeral train carried Bush's remains through small towns to the family plot on the presidential library grounds at Texas A&M University in College Station. He was buried alongside his wife, Barbara, and Robin Bush, the daughter they lost to leukemia at age three. 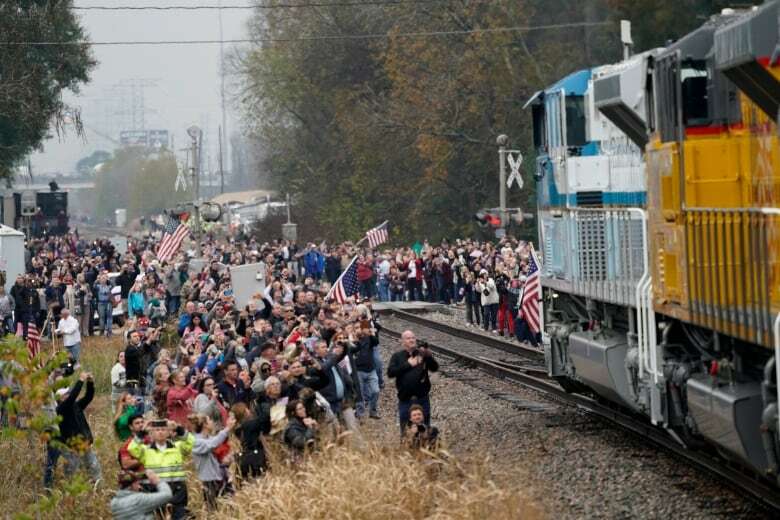 Crowds lined the route of the train, waving flags and cheering as the number "4141" train passed by on its roughly 115-kilometre journey from the Houston suburb of Spring to College Station. The casket was visible through large windows on the side of the train car. The funeral occurred at the same church where services were held in April for Barbara Bush, which was remembered for an emotional scene when the former president gazed from his wheelchair up at her casket, then shook hands with well-wishers. Bush died last week at 94. He was remembered Wednesday at a state funeral in Washington that included the current president, Donald Trump, and all living former presidents, as well as the last five U.S. vice-presidents and international dignitaries including Prince Charles, German Chancellor Angela Merkel and former prime minister Brian Mulroney. Thursday's flavour was distinctly Texan. In place of most Washington dignitaries were top Houston athletes reflecting Bush's love of sports, including Houston Texans defensive end J.J. Watt, former Rockets great Yao Ming and baseball Hall of Famer Nolan Ryan, and Chuck Norris, who played TV's Walker, Texas Ranger. The St. Martin's Parish Choir performed This is My Country, which was also sung at Bush's presidential inauguration in 1989. Those gathered also heard a prayer stressing the importance of service and selflessness that the president himself offered for the country at the start of his term. There were rousing renditions of the Battle Hymn of the Republic and Onward Christian Soldiers, but also many of Bush's country favourites. The Oak Ridge Boys recalled performing for him for decades and joked that Bush "fancied himself to be a good bass singer. He was not." 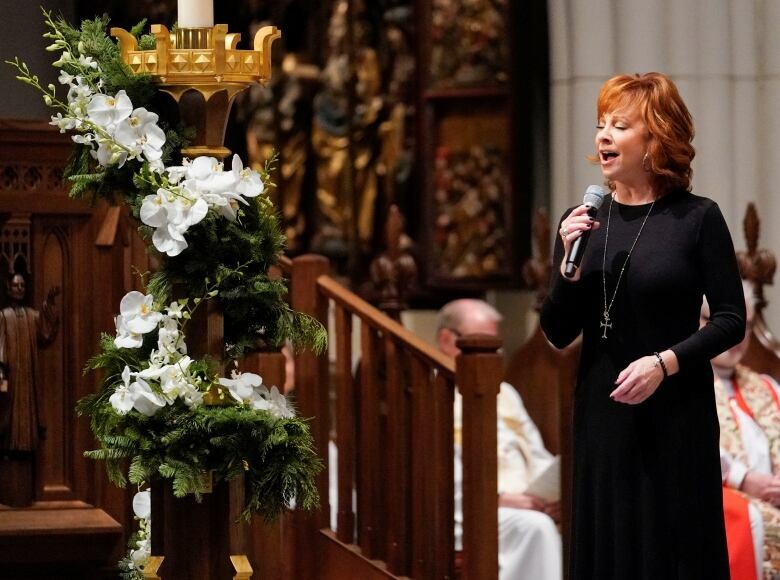 They then sang Amazing Grace, and Reba McEntire offered a musical version of The Lord's Prayer. 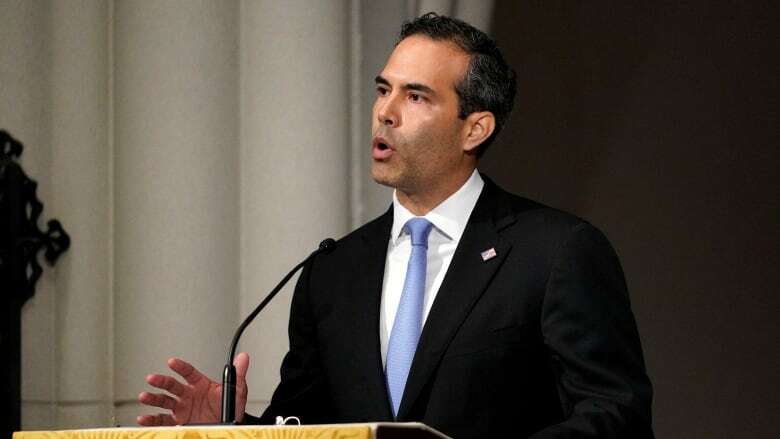 George P. Bush, the former president's grandson and son of former Florida governor Jeb Bush, subsequently struck a more personal tone in his eulogy of the man he and the younger generations called Gampy. 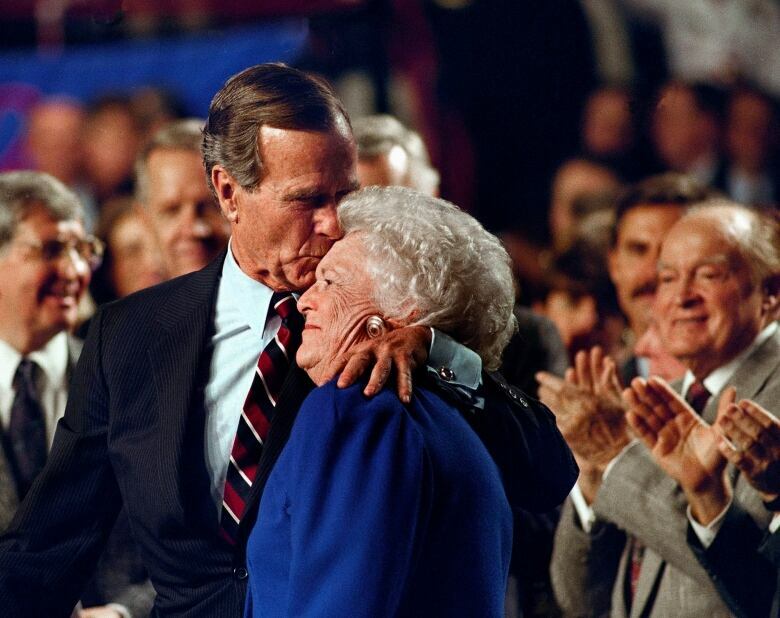 "He left a simple yet profound legacy to his children, to his grandchildren and to his country: service," said Bush, the only member of the political dynasty still holding elected office, as Texas land commissioner. The church's pastor, Rev. Russell Levenson Jr., recalled the Bushes regularly attending services there and offering to give up their seats to others when the church was particularly crowded. "He was ready for heaven and heaven was ready for him," Levenson said of Bush's declining in health in recent years. He also suggested that when Bush died, he would meet his wife of 73 years in heaven and she would playfully demand "What took you so long?" Bush's death makes Jimmy Carter, also 94, the oldest living ex-president.